Irish citizens will vote in May on whether to overturn a broad constitutional ban on abortion, lawmakers decided Monday. The ballot referendum, which Cabinet ministers unanimously voted to allow, will ask people whether they want to strike down the Eighth Amendment, a 1983 addition to Ireland’s Constitution that gave fetuses equal rights to people. It is one of the strictest abortion bans in the world and allows for the procedure only in pregnancies that threaten the mother’s life. In place of the amendment, the Irish legislature would take over the responsibility to craft laws on women’s reproductive rights. The exact wording of the amendment is still being worked out, the BBC noted, but last year a cross-party parliamentary committee recommended legalizing unrestricted abortion up to 12 weeks into the pregnancy. Irish Prime Minister Leo Varadkar also agreed last weekend that the current ban needs to be liberalized. Varadkar, speaking to reporters after Monday’s vote, said the ban has been ineffective. Irish abortion rights activists estimate that each day 10 Irish women on average travel to the United Kingdom for legal abortion services. From 2010 to 2012, there were 1,642 abortion pill packages sent to Ireland, other reports show. 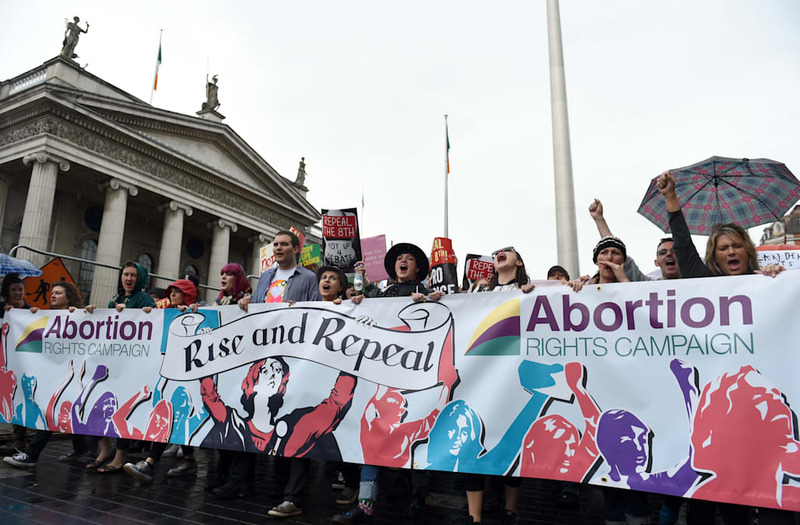 The great lengths Irish women must go to seek out safe and legal abortions are time-consuming, expensive and emotionally taxing, women involved in the country’s abortion rights activism told HuffPost last year. Abortion rights activists celebrated Monday’s announcement, but they remain cautiously optimistic. The organization RepealEight urged the cabinet to set a firm date for the vote in May. Linda Kavanagh, president of the Abortion Rights Campaign, urged supporters to closely examine the final wording in the referendum. Tensions over the strict ban came to a head last March when thousands of women went on strike to urge a repeal of the amendment in honor of International Women’s Day. More than 4,000 protesters gathered at Dublin’s O’Connell Bridge and shut down multiple thoroughfares. Sister strikes took place in other Irish cities.